Heroineburgh will soon be coming out in comic book form! 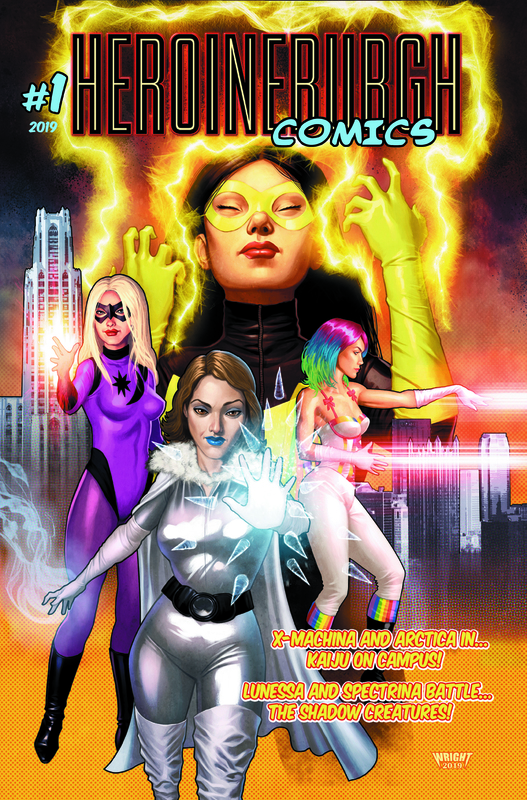 Heroineburgh Comics #1 will feature exciting stories that span the interim between Season One and Season Two, starring several of our popular superheroines and villainesses. The pulse-pounding interior art is by Benjamin Zeus Barnett with an amazing back cover by Marcel Walker. Here is the stunning cover art by DC Comics veteran colorist Jason Wright (Green Lantern, Secret Six, Batgirl, Green Arrow, Detective Comics, and many more). We can’t wait to unleash it on the world. Look for more information soon!